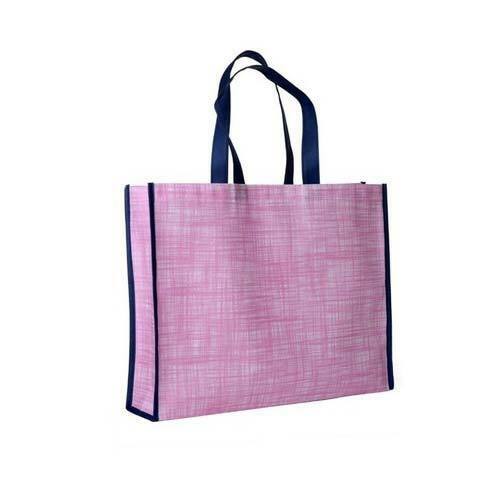 We are devoted towards offering the qualitative range of Non Woven Carry Bag, as per client’s precise need and requirements. Incorporated as a Sole Proprietorship firm in the year 2015 at Rajkot (Gujarat, India), we “Krishna Poly Print” are an eminent entity involved in manufacturing excellent quality range of Non Woven Fabric Roll, Non Woven Fabric Bag, D Cut Bag, Carry Bag, etc. The products offered by us are highly appreciated for features such as moisture resistance, smooth finish, light weight and long lasting nature. Our mentor, “Mr. Rambhai Javiya" (Proprietor), has immense experience in this industry and under his worthy guidance we have achieved a prominent position in this industry.